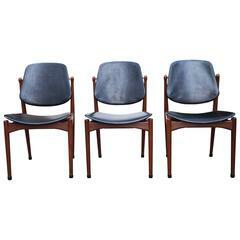 Set of 6 exclusive chairs, jet set style, plexiglass with black leather covers black from Bottega Veneta Italy, 1978. 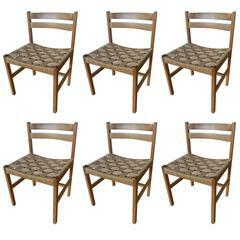 Set of six Maison Jansen style dining chairs. 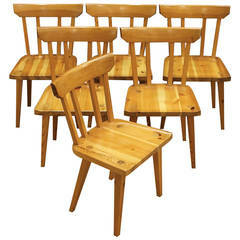 designed by carl malmsten and made by karl andersson & sons. massive wood and very nice woodworker details . 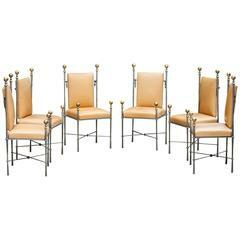 Set of ten Spanish style dining side chairs upholstered in brown leather with nailhead trim detail. Measures: seat height 22".